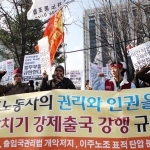 KCTU News - South Korean Government Crack Down Peaceful Demonstration! 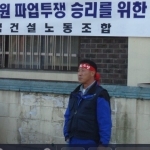 No More Hope for Lee Myung-bak Government! 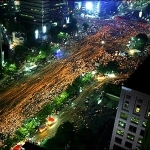 Hundreds of Thousands of South Korean People demonstrated against the Government! 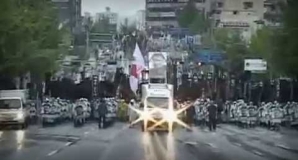 On May 31st, hundreds of thousands of South Korean people held a candlelight rally in more than 100 cities across the country against the Lee Myung-bak government who completely ignores their voices and concerns on the beef import deal with the United States. Protesters waved candles, sang songs and called for the agreement to be repealed and renegotiated. 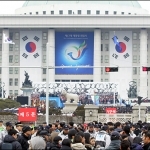 The people who gathered in the center of Seoul, the Plaza of Seoul City Hall, marched to the Blue House, President House, after the candlelight rally to make their voices heard in a peaceful manner. However, the government responded to the protesting citizens with a brutal violence by the riot police using shields and billies. Many protestors have been arrested during the peaceful march. Totally 228 protestors were arrested on that day, among them, only 3 people were released by the end of June 1st. And around 60 protestors were wounded by the riot police. 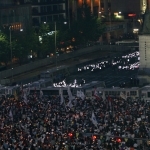 On June 1st, tens of thousands of people gathered again with candlelights. And 71 protestors were arrested during today's demonstraion. We urge the government to recognise this urgent and serious situation. The demand of people to renegotiate the beef import deal with the US is very just and common knowledge. Because the deal is very unfair and endangers people's right to health. South Korea used to be the third-largest export market for US beef, but suspended most US beef imports in 2003 after the outbreak of BSE(Bovine Spongiform Encephalopathy), mad cow disease there. Last year, linked with FTA negotiation, limited imports of beef from U.S. cattle less than 30 months of age were allowed to be imported to South Korea. But they were soon halted when banned items such as bones and bone fragments were discovered in some shipments. 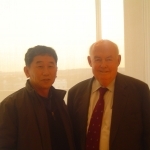 Then, last month, on April 18th, the South Korean government agreed to lift most of the restrictions of US beef import just a few hours ahead of the summit in the United States between President Lee Myung-bak and President Bush. More importantly, it should be pointed out that this agreement was reached without any consideration of people's health only for the purpose of encouraging the US lawmakers to ratify a bilateral FTA(KORUS FTA). One of the most serious problems of the April 18 beef agreement is that even nearly all the quarantine restrictions to protect the people against mad cow disease were scrapped. Even the South Korean government made more concession to the US in terms of sovereignty of quarantine and inspection on the imported beef which are guaranteed even by the WTO SPS(Sanitary and Phytosanitary) Agreement. 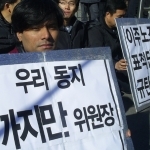 South Korean government is sacrificing safety of people to approve the KORUS FTA in the US Congress. 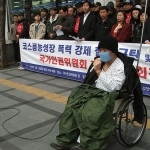 Since the agreement was announced, candlelight vigils and rallies have taken place on an almost daily basis. In spite of people's anger and protest, the government proceeded with the official steps so as to enforce the US beef import deal including the request of Minister's announcement. The Agriculture Minister announcement is supposed to be published in official gazette on June 3rd. The arrogance of the government has spurred people's anger. More and more people are joining in the protest including not only organised workers but middle and high school students, white-collar workers and housewives. Now the demands of protestors are going beyond "To repeal and renegotiate the beef import deal". 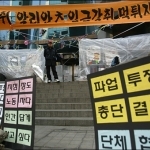 They are shouting "To stop the privatisation of public services including electricity, railway, education and healthcare", and even "impeach Mr. Lee Myung-bak President". The government cannot exist without its people. Current move of people's protest clearly shows that the government policies, so-called 'business-friendly policies", are totally rejected by the ordinary people. Therefore we strongly urges the government to stop the neo-liberal policies such as privatisation, FTA and labour flexiblisation, starting with the repeal and renegotiation of the US beef import deal without delay. And we also urge the government to stop any violence by the riot police against the demonstrators. The government should respect people's voices and protect people's rights including freedom of expression and freedom of assembly.